RARE Full Accoyo! Ani was one of the darkest full Accoyos in the USA until her son was born last year. She is the "Golden Goose" here at Double Stuff Farm. She has both Leon and Felix in her background. 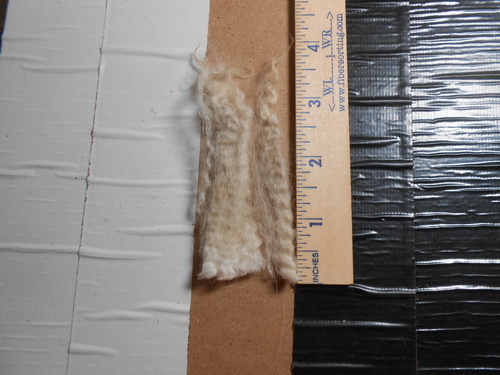 She has incredibly long, dense fleece with that bold Accoyo crimp. By springtime, you'd swear she's obese until you see her shorn. You have to get your hand in it to fully appreciate just how dense she is. Ani is just gorgeous. 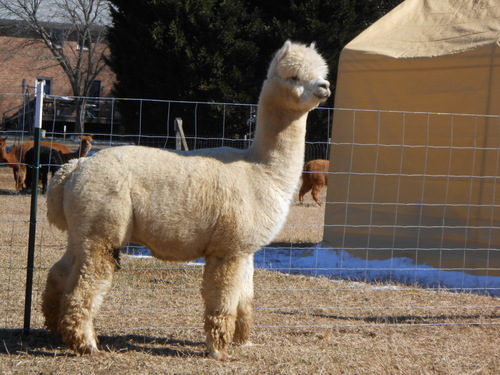 Even non-alpaca people comment on how beautiful she is. 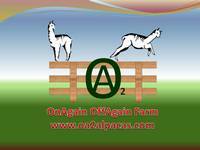 Ani was bred to a white full accoyo, Dionysis, for her first cria, A@DS Accoyo Krisaroo, who sold for a well deserved $95,000. Ani was then bred to light fawn, Royal Fawn, which resulted in A@DS Accoyo The King. He is extremely dark, dense, and soft (see his profile), and even darker than his mother. Even though he is white, keep in mind, he has a very dark fawn mama that has thrown color every "other" time she's given birth. Plus, he has a medium fawn daddy who has fathered many animals as dark or darker than himself. Regalia has thrown a med fawn male, Cyrus! His first group have hit the ground! WOW! We are talking crimp from nose to toes! Check out the picture of one of his crias at 3 months. And they are big boned as well. Go Regalia! What a powerhouse of genetics! Accoyo Express is his sire. 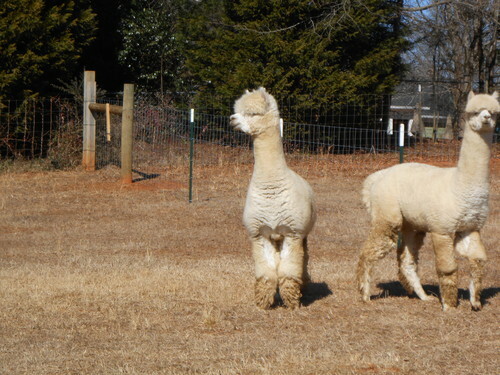 These are rare genetics as Accoyo Express is the only male sired by CPeruvian Accoyo Albus (who ranked 9 out of 10 on the import with 10 being the highest) before Albus was sold to a breeder in England. Other greats in his pedigree include grandsire Leon and greatgrandsire Felix on his dam's side. 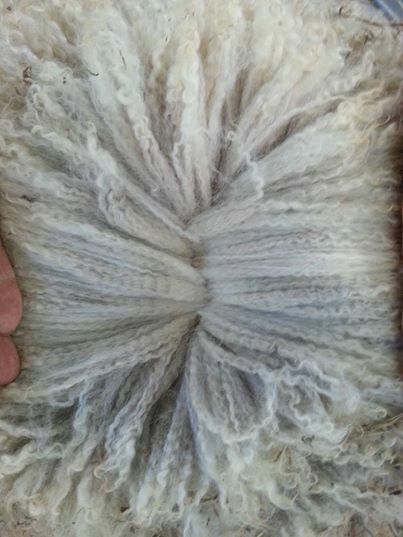 He has lots of dense fleece and great conformation. At last shearing, the staple length was 5-1/2". No exaggeration! A gorgeous, gorgeous boy. Oh, and did I mention that at 7 years old the suggested use for his yarn is for baby items and next to skin garments? Drive by breeding includes 7 days board. First Place, CAC Spin Off 2016 Judge's comments: uniform micron throughout the sample, fine, good lock structure. Yarn is versatile with a smooth, soft handle - use for baby items, next to skin garments.